One, you do not have to spend a lot to look great. Two, when you look good, you feel good. With these principles in mind, Seabenefit offers the best seaweed soaps, skin care, cosmetics and bath products, at affordable prices. These natural products are meant to enhance your beauty and well being. Why is this Soap so unique? 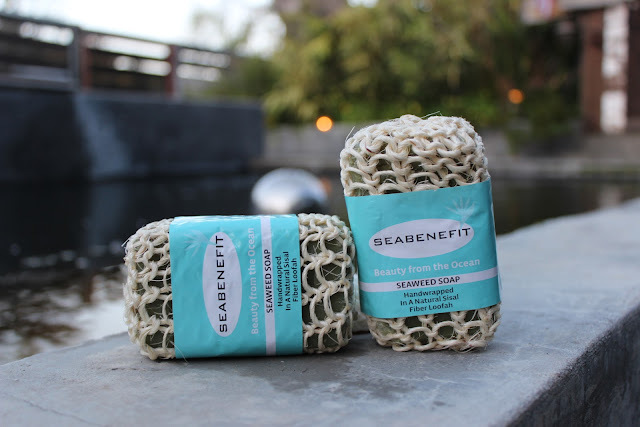 Seabenefit™ Seaweed Soap is unique because of the combinations of its elements: Natural Seaweed Extracts, Seven Plant Botanicals and a Natural Sisal Fiber Loofah. You will be benefiting from the Seaweed & Botanicals Content in the Soap combined with the topical massage that helps you get rid of cellulite plus you get with the 100% natural sisal fiber loofa that wraps it. The two combined helps you exfoliate your skin and to temporally stimulate the circulatory and lymphatic systems. The lymphatic system is the one in charge of getting rid of toxins, excess water and also getting fats out of your body. Our Seaweed Soap contains two seaweed extracts: Bladderwrack(focus versiculosus) and Brown Kelp(Laminariadigitata) extract, these types of seaweeds have been found to be stimulating, revitalizing, and nourishing to the skin due to their iodine and sulfur amino acid contents. Iodine has been known to stimulate the thyroid gland therefore reducing obesity. Seaweed is a great moisturizers for the skin and it reportedly improves blood micro-circulation at the skin level. The Loofa is made of 100% natural sisal fiber, botanically known as Agave Sisalana, and native to Mexico, the natural fibers from the leaves of this plant are cultivated, harvested, dried and hand-woven to fabricate our body and bath massage soap wrap. This wrap is effective in promoting body circulation and the penetration of the active ingredients contained in the soap. Seabenefit™Seaweed Soap is pH Balanced and has a pleasant green tea fragrance. 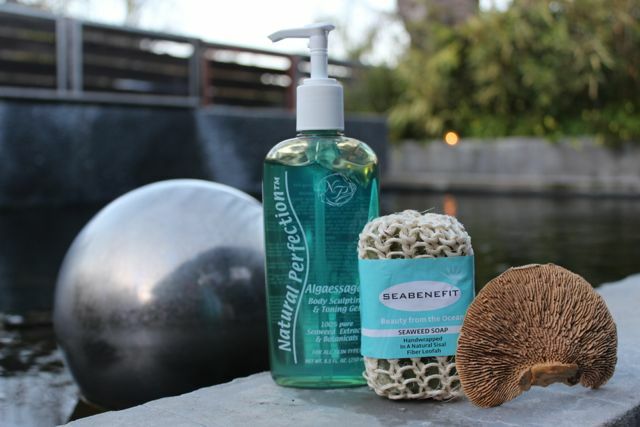 is the most efficient way to useSeabenefit™ Seaweed Soap? Use it daily, faithfully, lather and leave it on your body for 2 minutes, massage, massage and massage always in circular and upward motions; put emphasis specially on the "trouble" areas. When you leave your shower pat dry and for best results, follow immediately with the Seabenefit™ Seaweed Toning Gel and apply it onto all the areas you want to improve. Again massage, massage and massage always in circular motions.